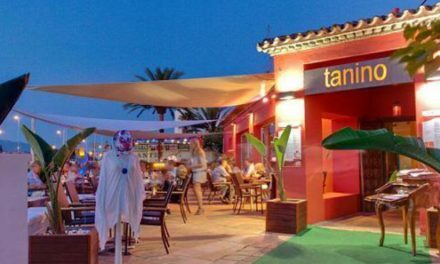 I have decided to write about a very special restaurant near to where I live in Guadalmina. El Asador opened many years ago and still epitomises a typical Spanish Tapas and Steak restaurant. Undeniably Vasco (Basque) the restaurant and the owner, José Eugenio Aria make no attempt to ‘southernise’ themselves. The eclectic mixture of its clientele, obviously like it too. Although predominantly Spanish, from local businesses and residents, it has a loyal following of guiris — and, make no beef bones about it, both are welcomed equally! At holiday times the diversity of clientele is boosted by Madrileños and Vascos. The thing about José is that he makes no compromises about his operation. 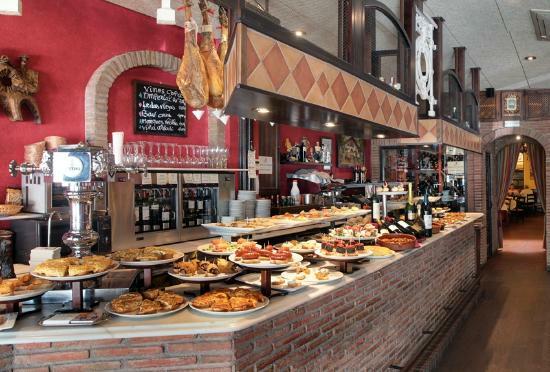 Completely against the current advice and legislation about the keeping and serving of food, the Asador’s Tapas are served as they would have been more than 20 years ago. Open to the elements and displayed on the bar guests can order/ help themselves to the pintxos (meat/fish/vegetables served on bread or skewers – or both!) that are on offer. If they need to be hot, they are wacked in the microwave. Other dishes come from the kitchen especially the ‘raciones’. Each day there is a typical Basque dish and other specials. But the raison d’etre, as the name would imply, is the grilled meat — although many good fish dishes are available. The meat comes from the Basque country and is nearly always amazing. Over the years I have had a few bad’uns but invariably the meat is good. Service is good although as in most places, sometimes you have to catch the eye of serving staff when they lift their eyes from the floor! The wine list is fairly comprehensive with a bias toward Riojas although Ribera del Dueros are plentiful and the whites thankfully tend to be from Rueda and of course the Rias Baixas. This is not a cheap place to eat, although it starts looking that way with ‘pinchos’ at only 3-4€ each. But when you get to the a la carte it steps up a notch. But it is value for money and it’s great to be in an environment that is Spanish ‘rustic elegance’. Expect to pay at least 60€ a head for a good lunch and wine although a few tapas and a couple of glasses of wine will set you back a lot less. BUT THE FOOD AND WINE IS NOT THE ONLY THING ABOUT THE ASADOR. 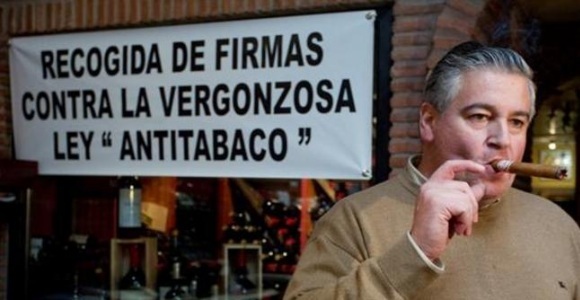 I have explained that José is a bit of a Maverick when it comes to authority: None less than when the smoking ban was imposed in 2011. He refused to ban smoking in his restaurant. This acted as a magnet for die-hard Spaniards (and others!) 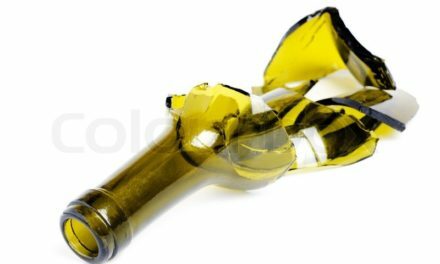 who resented the ban and thus the place got even busier. It did not escape the notice of the law and within days he was told to impose the ban. He refused to. Eventually the place was closed and he had a fine levied of 145.000€ which he refused to pay. 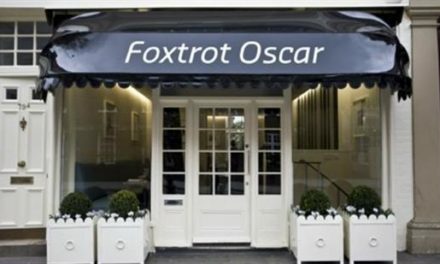 The establishment was re-opened but he continued to defy the ban and put signs outside his restaurant inviting people to ‘come in and smoke’ and sign his petition. This defiance meant that his actions and stance had created a furore which news channels across Spain had to report on. There wasn’t a day in 2011 when José was not in front of a camera or answering questions from reporters from every national newspaper. The amount of publicity he received was immense, worth far more than the 145.000€ fine — but he still refused to pay. Eventually in 2014 the fine was reduced to 6000€ — and guess what? He refused to pay that too. To this day, some four years later, I am pretty sure it still remains unpaid. The publicity he received together with his consistent quality and service has meant that success follows success and he expanded into the place next door and soon after bought the place next door to that. It now takes up the whole corner of the site. Defiant as ever, he continues to champion the rights of the individual to smoke in restaurants and other entertainment venues. 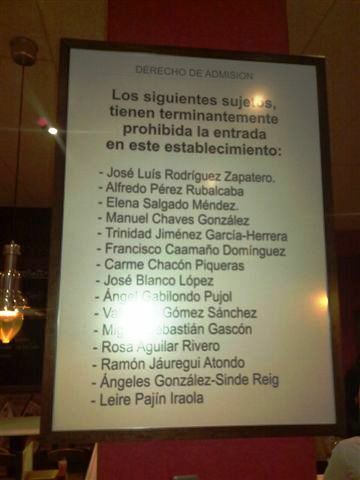 Like a slap in the face with a wet Sea Bass, he has also banned certain people from the restaurant including Manuel Chaves the former President of the Junta de Andalucia and José Luis Zapatero, former Prime Minster — which is awkward has his home is not a kilometre away! As a non-smoker I have to admit that no smoking in restaurants has been a blessing, but as a bit of a rebellious chap myself I have an underlying admiration for his principles. José is not involved in any way with service but he is often in the restaurant. You may recognise him, he could have a cigar in his mouth. These days if you take out a cigarette or cigar in the Asador, you will not be offered an ashtray. They are more likely to give you a saucer and tell you to be a bit discreet. 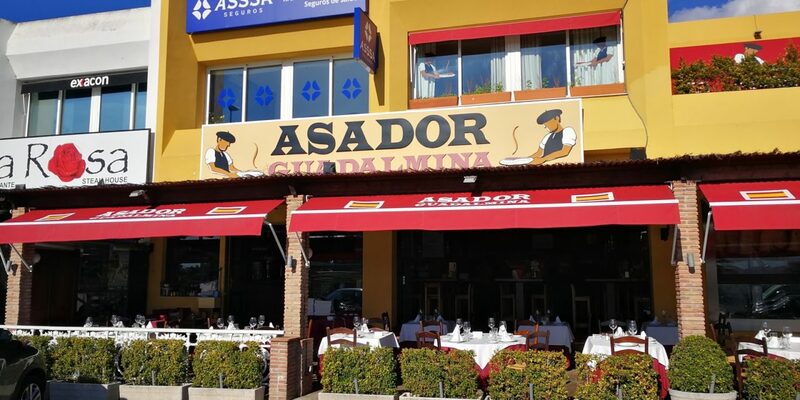 The Asador de Guadalmina is in the commercial centre of the same name and now opens seven days a week from 1.00 pm; kitchen closes at 4.00 and re-opens at 7.30, although some fiestas and public holidays may change the hours.